I am not one to live in the past in any area of my life, but the BEST part about writing a travel journal throughout your journey is you will get to look back on your journal over and over again and relive those memories. Whether you write your journal at the time of your trip or finish up after you’ve gotten back home, you relive it. And you can do so, again and again. Remembering the sweet dinner with friends in Paris, or the great coffee in Prague. The wonderful tour guide in Cusco, and the scary bus ride in Beijing. All of these are memories captured in my journal, and made even better by adding in the receipts, tickets stubs, and whatever else you want from your adventure. Who doesn’t want to relive a life well lived?! The details of a trip captured in my journal are what can transport me back. I often write details like what the people sounded like, what the money looked like, what phrases I heard a lot, what the food was like, the sights and sounds of the subway stations. All of those details are things can be forgotten quickly, but can be some of the fondest memories if I have them written down. While you are physically there. When you return from it and you see the pictures and videos, and retell the stories to friends and family. One of the best parts of the Pack This Journal is you can collect and decorate your pages as you go. You have the glue dots and pen included so you can write and glue in your journal as you go. It doesn't have to be perfect; it’s all yours. Besides the some of the unforgettable memories recorded in the travel journal, there is other important travel information that is not available online, if you write it down. You can refer hotel’s name and contact detail, distance from the airport, itinerary, hotel info, flight info, departure & arrival times, and much more. Write this down before you go and you have it ready for you whenever you need - no WIFI necessary. 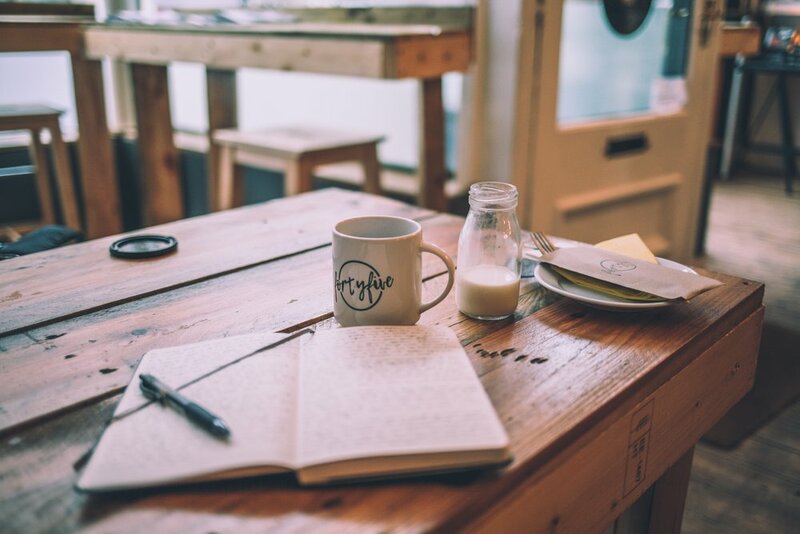 I know it seems daunting to take time out of your travels to write down your experience, but these cherished moments in coffee shops or in parks can be a much needed quiet time from a crazy travel day. Also, there are sometimes moments when you to kill some time before your next bus or plane.. This is when your travel journal will rescue you. You can add up all the experiences and incidents of the day or the week in your journal. I look forward to these stolen moments to not only reflect on my travels but reflect on what I am learning and what I am gaining from this experience. No other thing does this like writing in your journal. No matter what your reasons are for keeping a travel journal, I hope I’ve convinced you that a travel journal is a unique and personal souvenir that will preserve your trip forever. Looking to create a travel journal filled with memories for your next trip? Check out the Pack This Journal!